Much has been written about George Martin, producer and some would say virtual member of The Beatles. I would like to focus on one song, and the way it exemplifies Martin’s unique ability to commingle classical techniques and pop arranging values. “I Am the Walrus” was recorded as part of the Magical Mystery Tour project. The rhythm section, while certainly interesting in its progression, is almost plodding, with Ringo doing his best to give it some drive with snare fills here and there. Aside from Lennon’s intense vocal delivery of a surreal and arresting lyric, the musical interest value in significant stretches of the song arises from the string section, which George Martin wrote after the rhythm section was recorded and edited. What is really striking about the string arrangement here is the way it truly inhabits The Beatles’ arrangement for bass, electric piano and drums, matching equally well the nasal intensity of Lennon’s voice, and the slow but relentless march of the band. The recording of the strings, done as part of an afternoon session on September 27, 1967, emphasizes the attack and grain of the cellos. To my ear, the strings substitute in presence for the electric guitar which is very understated here, blending into the electric piano’s pulsing dirge. When you compare this little piece of collage with examples of string writing for pop-rock songs from the same era, Martin’s intelligence and artistry are clearer. He didn’t use the strings as glue and sweetening, like the Moody Blues and so many others, he actually made them the partner of Lennon’s edgy, sarcastic, unpredictable narrative, and saved the song from its indifferent rhythm section. It’s an achievement that illustrates the important role Martin played. He provided a resource for their imaginations, and also a fixer at times for incomplete arrangements. The parts he offered were essential, not gratuitous. 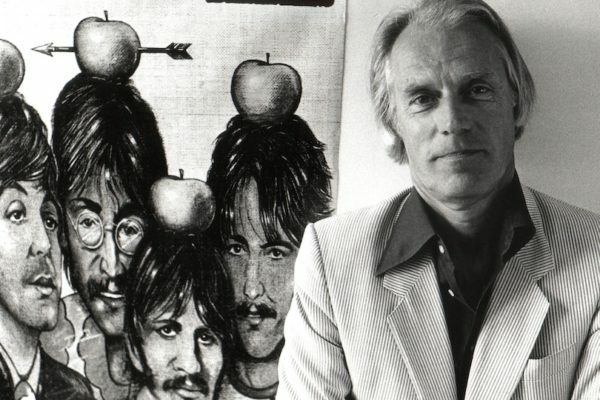 George Martin had a constantly surprising ability to grasp the essence of The Beatles’ progressions, and then deliver a counter-statement that danced with the band’s ideas rather than doubling or burying them. It’s a level of achievement in his very specific field that has rarely been matched. Take a deep dive into the creative process behind four Beatle masterpieces. It’s an educational journey you’ll really enjoy. Once as a 7 yr old Beatle fan in 1968 with my brother and his friend Chipper we fell asleep in the den listening to this scary tune and Chipper and I shared simultaneous night terrors. I think its the cello! The strings are very much Lennon’s. He came up with all of the parts. George Martin arranged the parts, but with John, literally, sitting next to him. Martin would do all string and horn arrangements with the writers present. Actually they told Martin what they thought they wanted… he would come up with something and they’d agree with it. They would sing the parts to Martin and he would write them down. Martin would then arrange for appropriate instruments and harmonic structure. Lennon was particularly hands-on with Walrus. Martin was great, but especially with Walrus, John gets the credit. If you want, you can hear a great example of John laying down what he wants the guitar solo to do in Happiness Is A Warm Gun right at the end of the guitar lead. You can hear him singing the guitar part which was then overdubbed on to the song. His voice wasn’t meant to be heard, but they really didn’t care that it was heard. I’d heard John left George the song and just said do something with it. He was shocked off his nut when heard what Martin did with it. Early versions of the song have the string part (melody) played on electric guitar, BEFORE it was scored. GM used this melody as a “go-by” but incredibly embellished the track as a result. You took the words out of my mouth ????. Lennon and McCartney often described to Martin what they wanted. Another example would be “Goodnight”. Lennon specifically demanded schmaltzy arrangements for both strings and the choral singers. Not sure if Martin did those arrangements but the principle is the same. Even as early as Yesterday McCartney got what he wanted. The only thing Martin didn’t get was the cooperation of the string players on the track. George Martin wanted them to listen to the previously recorded tracks through headphones but they declined his request. As time went on the players eventually were conquered by the Beatles power at EM I and were forced to do what they requested. This power shift took place on the Revolver sessions on Rigby when the engineer insisted on close placement of microphones which gave the strings that aggressive gritty sound. As you said The Beatles were present at the mixing board for the mono mixes until Abbey Road which was the first Beatles album to be mixed only in Stereo. Prior to that The Beatles were not interested in Stereo. Excellent article, its a superb arrangement that adds much to the dizzying psychedelic melange created by The Beatles. I love how the strings keep climbing towards the end. It really would have sounded quite weak without George’s genius. He was as psychedelic as Lennon in his own way! Check out Beatle expert Phil Angotti’s musical analysis of Walrus! Interesting read, but I would leave the Moody Blues out of this “glue and sweetening” thing. They produced great music as well, and the instrumentation was perfect for their sound. One example off the top of my head – On the Threshold of a Dream. Yes I agree with you. The other thing is the Moodies only used strings/orchestra for one album, their second album “Days Of Future Past”. After that they used Mellotrons and so forth as on On The Threshold Of A Dream album that you mentioned- In all cases as you mentioned the Moodies were able to control what they wanted and like you I would not describe the orchestra on “Days” as sweetener. Actually the strings were the opposite of sweetness since the Dream imprint wanted the orchestra to be front and center in order to demonstrate their new approach to Stereophonic Sound. The Moodies were able to balance things out so that there was an almost perfect integration of the orchestra parts and the original songs they composed for the album and they also made the arranger write parts that were based on the melodies they had composed so it’s hard for me to call that a sweetening situation where The producer or engineer comes in afterwords and adds embellishments to so-call sweeten the production. Except for Days Of Future Passed, the Moody Blues always used mellotrons and various keyboards, never strings. And even the strings on Days Of Future Passed were only played on the sequential bits, not the actual songs by the Moodies, so they shouldn’t even be mentioned in this article. Agreed and the Moodies applications of mellotrons, other keyboards and background vocals were extremely original and constitutive of the aural impression and mood of their albums. George was a good hired hand.I am the walrus is amazing because of the Beatles. I’ve never seen where Lennon suggested what the strings should sound like or be doing, but to me it’s more likely George Martin came up with the part. As any Beatle fanatic knows, Lennon’s melody lines were simpler. “Goodnight” would be an example. He was very clear about what he wanted. Also “Being For The Benefit Of Mr. Kite” is possibly the most cerebral composition in the Beatles’ Cannon and the melody is sublime. Paul wrote more like Calligraphy with very smooth melodic lines and John composed more like an architect piecing the various blocks together. They were different but I think to say that Lennon’s melodies were simpler is not really to the point. What I hear is that Lennon’s melodies had what I call “teeth or fangs” which also applies to his lyrics as well. While generally not as smooth and flowing generally Lennon’s melodies had a pungency to them. An example would be be “Girl” by Lennon – and I Am The Walrus and Glass Onion. Without George signing them on the basis of an awful demo and their charm, we wouldn’t be having this conversation at all. Like any team creative effort, it is both/and, not one or the other. It was a dynamic, meeting of the minds and melding of the talents for the greater good. There are lots of gray areas and overlap as they inspired and influenced each other. That was true of the band, and of the productions with George M and even the engineers, especially Emmerick and Scott. It was more than Martin. Engineer Geoff Emerick created what ever “The Boys” wanted. He’s responsible for every cool album from Revolver till the end. Not counting Phil Spector! Emerick received a Grammy for his work on Sgt. Pepper. I agree that the strings are important, but I beg to differ that the rhythm section is “plodding” or “indifferent.” Actually, I’ve always admired that part of the song (and have imitated it in my own music making), since, in its robotic and almost explosive way, it drives the music forward relentlessly. Notice, for example, how integral it is to the fade out of the song. I’ve always thought of the rhythm section at that point as the Beatles fading off into eternity, as the rest of the arrangement swirls around them. 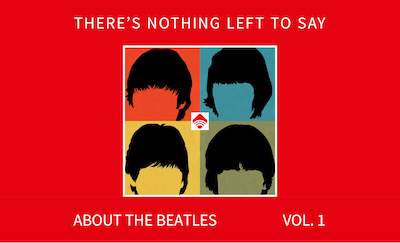 One thing everybody can agree on about this (or any) Beatles song – people will still be listening to it 500 years from now.